Things are still chugging away on the good ship beta III. 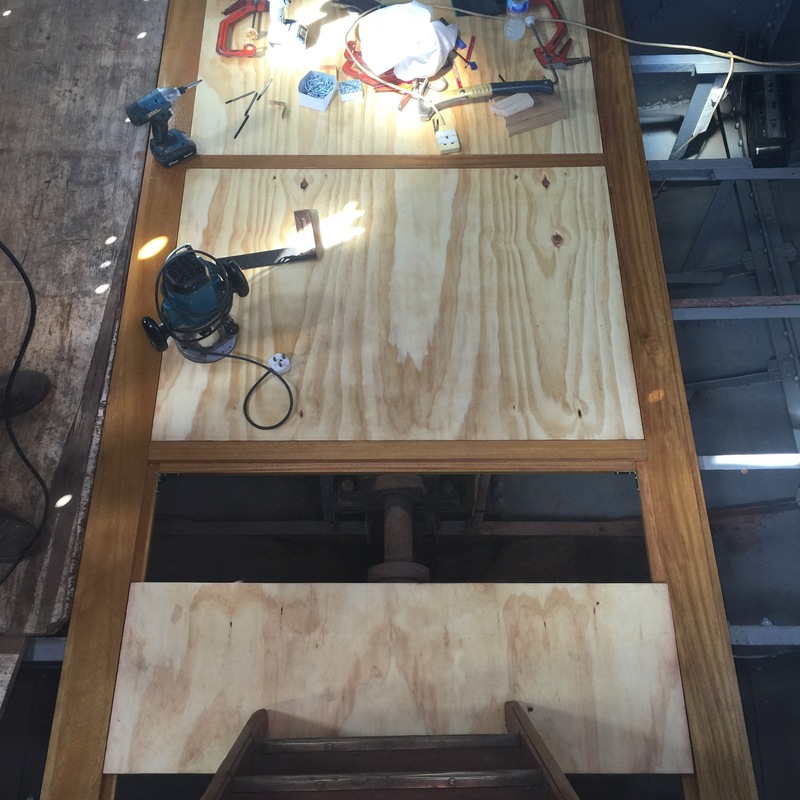 Lots of jobs to finish up – the caulking of the deck, putting in the last of the teak etc etc. And of course more hoovering of gunk from the bilge. 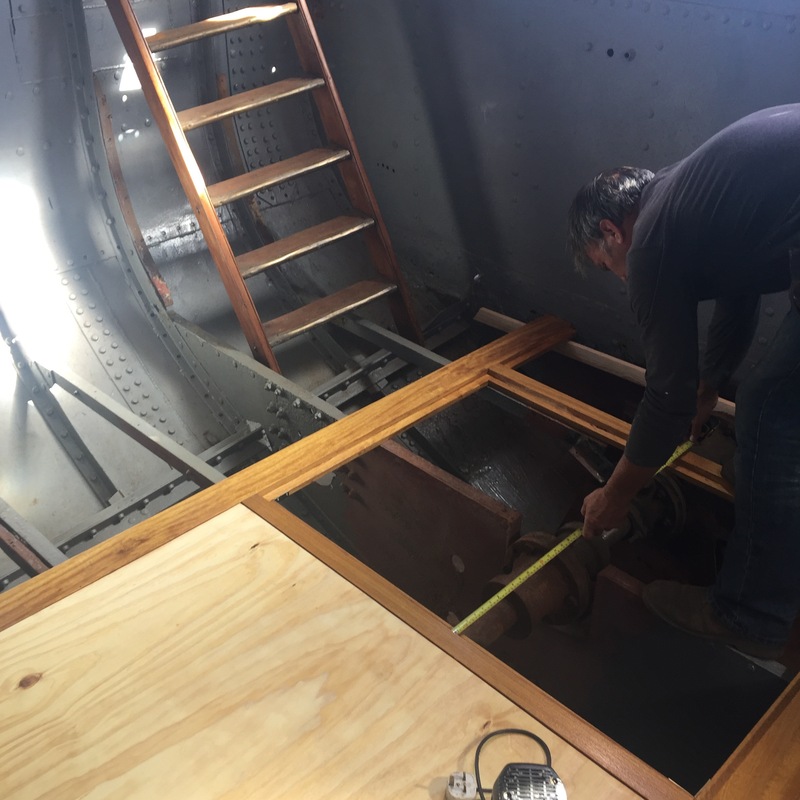 But in big news the floor has started to go down in the aft cabin. This is an ingenious design where iroko sits on every other of the existing metal beams with rebate cut in to take pieces of plywood. These are further reinforced with pine sitting underneath on the alternate beams. 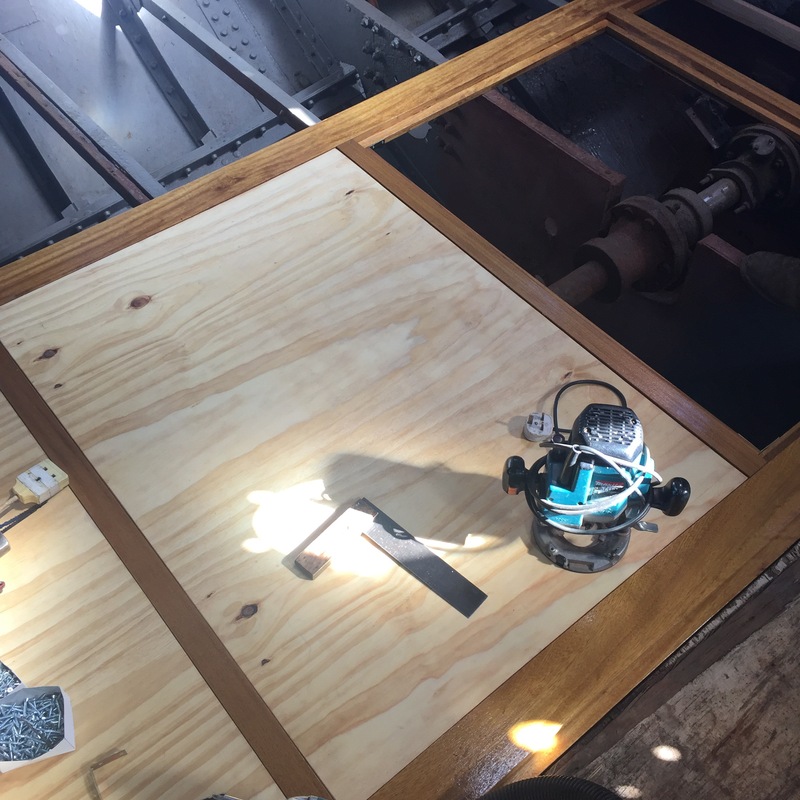 The beauty of this is that the iroko is tough as nails, the plywood as cheap as chips and the whole lot is easily removable to access the bilge. 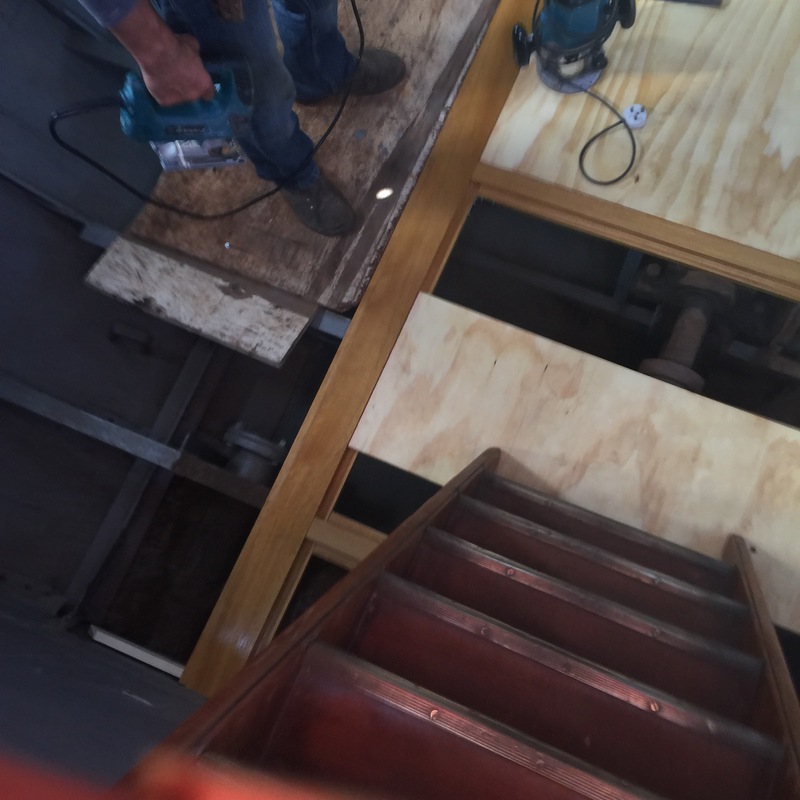 All the plywood panels can be lifted and the supporting grid is easily unscrewed. Magic. This entry was posted in Uncategorized on August 26, 2016 by hellyboo.